This space is located in a fantastic position in the town centre, amongst amenities and transport links including the railway station with direct services to London and Birmingham. A short drive away is the M40 motorway, giving easy access to the M25. On-site, there are kitchen facilities, 24-hour access and plenty of free parking spaces for both staff and visitors. The spaces are fully flexible and furnished. 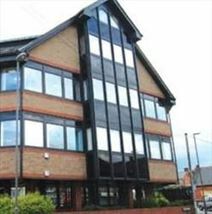 Modern office accommodation in an excellent location, directly next to High Wycombe train station. Furnished and semi-serviced, with a client-focused management team. 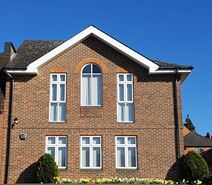 Complete on-site car parking provided, with easy access to High Wycombe town centre. Flexible license agreements available. 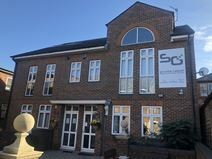 In the centre of High Wycombe, this serviced office enjoys an ideal location in close to a major shopping centre, the university and hospital. The centre offers cost-effective furnished or unfurnished office solutions, along with the latest in business support services to suit your needs. One of the UK's most experienced and long-established business centres offers a wide range of office spaces, both furnished and unfurnished, over three floors. Located close to High Wycombe town centre and within walking distance of the train station, the centre has ample local car parking and quick access to the M40. This business space offers offices on flexible terms, and with excellent on-site amenities including meeting room availability, car parking, super-fast internet and a management team. The centre is accessible 24-hours a day, and has great transport links including High Wycombe Railway Station within walking distance, offering services to London Marylebone in under 30-minutes. Heathrow Airport (LHR) is just 20-miles away. In this business park setting you'll find this modern, two-storey building that makes you feel instantly at home with it's welcoming reception area. There is natural light filtering through all of the office space, making you feel comfortable and motivated throughout the day. This building is fit with high-spec interiors and comes fully equipped with meeting rooms, administrative support and reception services. Located just off the M40 at Junction 5, you'll find this location is very accessible from all parts of the surrounding areas, with great links to Thames Valley, London and beyond. There are nearby restaurants, pubs and shops for you to utilise or entertain your clients. With access via frequent public transport also prominent, this space is ideally located for any ambitious company. Located in a business park within an easy commute of high Wycombe Town Centre, this space offers an array of amenities on-site for tenants. There are meeting rooms, conference facilities, a lounge, reception services with telephone answering and 24-hour access available. A Premier Inn is located in the area, and there are many shops and eateries in High Wycombe, as well as the well connected railway station. This space is well placed for access to the M40, and parking for staff and visitors is available on-site. High Wycombe Railway Station runs services through to Birmingham Moor Street and to London Marylebone. The town centre offers an array of cafes, bars and shops, and there are great facilities on-site including reception services, a management team, furnished offices and the availability of meeting rooms. A wide variety of office and workshop spaces located on a business park in High Wycombe, providing easy access both to the town and to the M40. Fully serviced and client focused, available on ""Easy In/ Easy Out"" terms, on a temporary or permanent basis. From space for a single person up to exclusive use for up to 25 staff, this building in High Wycombe provides over 1,450 sq. ft. of dedicated office space. In addition there are conference rooms and a boardroom that can seat up to 18 people. Wycombe has good transport links, with services to London Marylebone from the railway station, and the town centre has a number of shops and places to eat and drink. This High Wycombe-based centre offers an attractive, modern space with flexible terms and a great working environment. Offices come equipped with a high speed internet line, air conditioning, and the opportunity to take advantage of additional services such as administrative and reception support, cleaning services and conference room hire. The centre is around 10-minutes walk to High Wycombe train station, which offers direct access to London Marylebone. 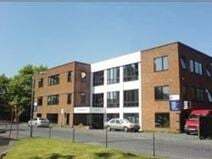 This centre offers contemporary office suites in an attractive business park close to High Wycombe. 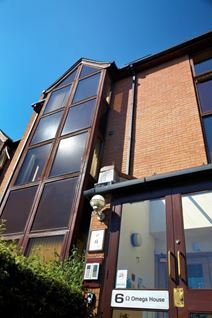 Furnished and equipped to a high specification, with dual broadband, franking, fax and photocopying facilities provided, along with ample parking and garden areas. High Wycombe offers a wide range of local amenities, while the M40 is less than a mile away, as well as being close to the railway station. Flexible licensing is available. Located midway between Wycombe and Amersham, this property is set in a two storey multi-let office building, in the heart of a quiet village. Fully furnished, and with the benefit of fast fibre-optic broadband, this is the ideal base for a number of different business types. Trains from Amersham and High Wycombe connect the towns with London, and there are also services from Wycombe to Birmingham and beyond.